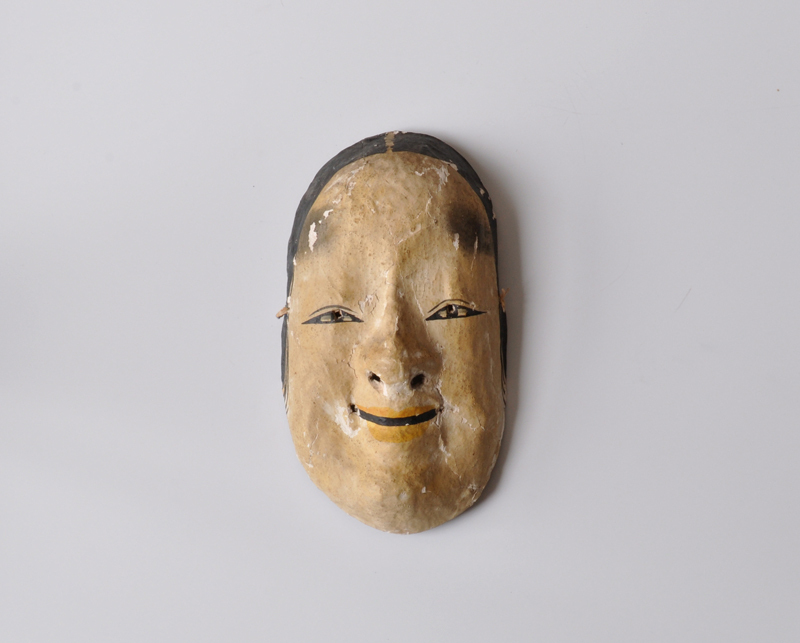 SAGAMEN – Vintage Japanese papier-mache koomote noh mask (Dealer: hotoke) – Motif of ‘Koomote’ Noh mask. Scarce old type of ‘Sagamen’ (Saga mask) as papier-mache mask of the traditional local mingei handicraft in Saga-arashiyama in Kyoto, Showa period, circa 1960s-70s. Originally, used in kyogen at the Sagashaka-do (Seiryo-ji temple), then sold as proctive charms at shrines and temples in Saga-arashiyama area since the late Edo period in mid 19th century.